Dr. Kellogg is a 1966 graduate of the University Of Pennsylvania School Of Veterinary Medicine. After an internship at the University of California at Davis, he entered private practice. After five years he opened his own practice in Pittsfield, Mass. He then designed and built the first 24 hour emergency facility in Berkshire County. He ran that facility for some 20 years, building it into a five doctor practice which was open 24/7. In 1989, he left that practice to serve as the Chairman of the Medicine Department and Head of the Intern Program at Rowley Memorial Animal Hospital in Springfield, Mass., a large teaching hospital owned and operated by the MSPCA. In 1994, he returned to private practice in the Berkshires and designed and built a second 24 hour hospital, The Center for Veterinary Care in southern Berkshire County. Dr. Kellogg was an EMT-I and rode for 10 years on an advanced life support ambulance (caring for two legged patients). He also served on the Board of Registration for the Veterinary Profession for the State of Massachusetts for 9 years, serving as both the Secretary and Chairman. Dr. Kellogg served as the interim Assistant Director for Disaster Preparedness for the American Veterinary Medical Association. He originally developed VMAT 1 (a veterinary disaster response team) and played a key role in the development of the entire VMAT program nationwide. He has responded to a large number and variety of disasters including multiple hurricanes and floods all across the U.S., including serving as the Lead Veterinarian for the 9/11 response in New York. He was a member of and served as the Chair of the Committee on Disaster and Emergency Issues for the AVMA. He also served on the Veterinary Program Leadership Committee for the VMAT program and was its Chairman for 4 years. He was the Chief of Staff for the Animal Rescue Coalition of Sarasota, Fla. and helped develop and run a mobile spay neuter operation for 3 years, overseeing the spay/neutering of some 12,000 patients. He was also a member of the Sarasota County Search and Rescue Team and served as their veterinarian for a 4 year period from 2004 to 2008. In addition to his previous position as the Senior Veterinary Advisor for HSVMA, he also served as the Senior Veterinary Advisor for The Humane Society of the United States and Humane Society International. He has taught, \, Animal First Aid for Disaster Responders (AFADR) and Disaster Animal Response Training (DART) at a variety of locations in the U.S.
Dr. Kellogg has been deployed to numerous disasters, both natural and manmade, both here and internationally. He participated in an active assessment of the Gulf Oil Spill along the Gulf Coast and has traveled to China, Mexico, Venezuela, the Philippines, Haiti, and Egypt addressing disaster preparedness as well as teaching spay/neuter as a basic beginning for animal welfare in those countries and presenting a variety of other animal welfare issues. His most recent deployment was to the puppy mill bust outside Montreal, Canada, which became the largest puppy mill raid in North America, seizing well over 600 animals. He continues to actively practice veterinary medicine as the owner and Chief Veterinarian for Veterinary Response, Inc, by providing surgical services for the Berkshire Humane Society in Pittsfield Massachusetts during his summer time in New England and while in Florida during the winter continues to oversee and provide an outreach to the pets of the Migrant Farm Worker community. He has personally vaccinated over 1000 dogs since starting the project. He also serves as the lead veterinarian for Forest Animal Rescue, (https://www.forestanimalrescue.org/) a permanent home for rescued animals of a variety of species including Tigers, Bears, Monkeys and other exotic animals. 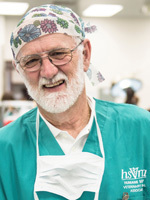 Dr. Kellogg is currently a member of the HSVMA Board of Directors.